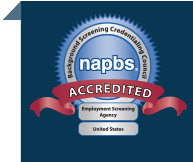 Background screening provides employers a level of assurance that they are hiring the right candidate for the job. When implemented correctly, screening can shed light on aspects of an individual’s background that might impact their safety, productivity, and overall suitability for a role, while at the same time allowing candidates a fair chance at employment. In today’s employment screening FAQ series, we explore the pitfalls of using the Internet to screen candidates. Question: Can I search online for background information on candidates? Let’s face it, most of us spend a considerable amount of time online. Americans average 24 hours per week online, according to MIT Technology Review, and 68 percent of US adults have Facebook accounts. In the course of our interactions online, we leave behind a digital footprint that can be searched to find out things like who we associate with, our religious affiliations, our political views, and so much more. With the proliferation of information that can be discovered online, it may be tempting to bypass formal background screening in favor of a quick peek into the Google search results. But as the saying goes, just because you can do something, doesn’t mean you should. Answer: Technically, you can, but there are many reasons you should not. Discrimination is a key concern. One of the chief reasons to stay away from Google and other online searches is that you are likely to encounter information about a candidate’s age, gender, disability, or ethnicity. While this information might be apparent when you meet the person face-to-face, all candidates should have an equal opportunity to present their qualifications directly. In some instances, a candidate may even claim discrimination if the information found on social media is alleged to have denied them an interview or employment. The employer may then be required to prove they did not consider the prohibited information or the candidate’s protected status in their decision. There is a great potential for bias. How a person represents themselves online is not a complete picture of who they are and how they will perform in a work environment. If you search a candidate’s social media profiles, you’ll discover behaviors and traits that may create unintentional bias in your hiring decision. Personal details might reveal a lack of maturity, offensive language, family responsibilities, or sexual orientation. Some states, such as New York, have enacted statutes prohibiting discrimination based on lawful, off-duty activities. For example, if through an Internet search, an employer learns a candidate is affiliated with a specific political group and does not hire the person for that reason, the employer must present a legitimate reason for rejecting the applicant. Searching online for candidates in such states may be in conflict with these laws. You might have the wrong person. A little known fact about background screening is that it’s extremely common to come across common names. You might think you’ve just come across a treasure trove of information about your candidate only to find out later that the person whose information you searched was someone with the same name as your candidate, but not the actual person of interest. Add to this the fact that information online might not be true in the first place. Professional researchers are equipped to handle the realities of background information and have the means to verify the information before reporting it to you as fact. While the inclination to just “take a peek” at someone’s online persona is understandable, hiring managers should refrain from doing so. Instead, at the point you’re ready to make a conditional offer, conduct a proper background screen. You’ll have greater peace of mind knowing you followed proper procedures, and you’ll have more accurate data with which to make your decision. If you need help in conducting background screening or would simply like more information, please contact us.